London: Marylebone Cricket Club (MCC), the arbiter of the laws of the game, has released a statement regarding India off-spinner Ravichandran Ashwin's controversial 'Mankad' run-out of England's Jos Buttler in the Indian Premier League (IPL) match. MCC on Tuesday said that it was not against the Spirit of the Game to take the bails off at the non-strike end when the batsman is starting to leave his/her crease early. If the non-striker is out of his/her ground from the moment the ball comes into play to the instant when the bowler would normally have been expected to release the ball, the bowler is permitted to attempt to run him/her out. Whether the attempt is successful or not, the ball shall not count as one in the over. If the bowler fails in an attempt to run out the non-striker, the umpire shall call and signal Dead ball as soon as possible. "The crux of the issue is when the non-striker can safely leave his/her ground, and what the bowler can do to effect this form of dismissal without courting controversy. To clarify, it has never been in the Laws that a warning should be given to the non-striker and nor is it against the Spirit of Cricket to run out a non-striker who is seeking to gain an advantage by leaving his/her ground early," MCC said in a statement. "Furthermore, with batsmen now being deemed in or out by millimetres by TV replays on quick singles, it is right that they should remain in their ground at the non-striker's end until it is fair for them to leave," it added. "Yesterday's incident could have been ruled out or not out,? said MCC, adding, "depending on how 'the instant when the bowler would normally have been expected to release the ball' is interpreted. "There are some people who are saying the spinner deliberately delayed his action. MCC said if it was intentional delay so it would be unfair. 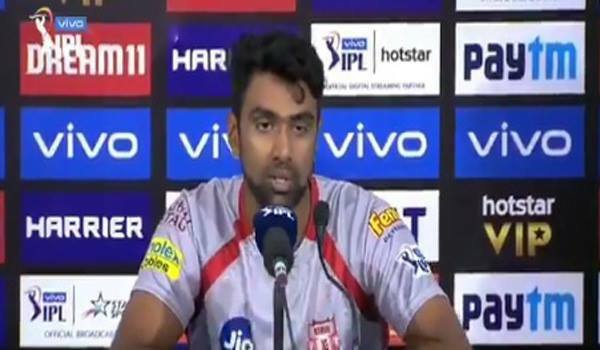 "Some feel that Ashwin delayed his action to allow Buttler the chance to leave his ground and that Buttler was in his ground when he expected the ball to be released. If it was a deliberate delay, that would be unfair and against the Spirit of Cricket. Ashwin claims this not to be the case," MCC said.